Meat and fish trays: offered in a wide range of materials. They can be customised to suit all size and sealing requirements. Biscuit trays: innovative designs manufactured with high technology. 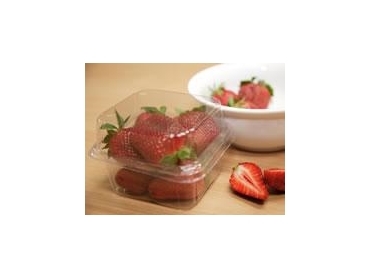 Fruit and vegetable packaging: Visionpak supplies an extensive variety of fruit and vegetable packaging including 2kg punnets, incorporating a patented air flow system. Fruit liners: wide range of counts, with custom sizes available on request. Strawberry punnets: Visionpak clamshell punnets come with a range of lid depths to cater for a variety of fruit sizes. All punnets feature the patented air flow system which allows for cool air to circulate easily around the fruit in cool storage.